Everything you need for your heating and AC in your home or office can be found right here. We do everything from helping you purchase the right system for your needs to installation and ongoing maintenance. If something ever goes wrong, we're just at the other end of the phone to help, so don't be shy: call us today! 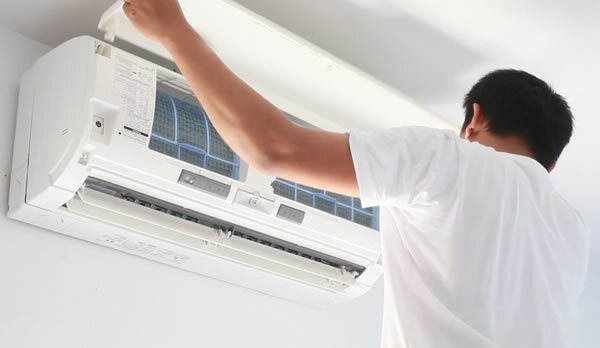 If you're having problems with your air conditioner, Jacksonville based repair and service professionals can be with you and fixing it fast at a price you can afford. Don't suffer in the heat because you're worried it might be too expensive to get your system looked at by the right people. There are still surprisingly many homes without the most up to the minute climate control systems and HVAC. Jacksonville Florida is a great place to live but when it gets hot, you know all about it if you're one of them! Residents in Jacksonville and the surrounding neighborhoods will soon tell you that just being able to get inside out of the heat of the summer sun is a pleasure worth its weight in gold. One of the most important aspects of that is in knowing that your system is going to be working day in and day out just for you. Plenty of folks are considering making the move to the Sunshine State for a variety of reasons. Of course, a major reason is for the great weather we have here! So if you have something like that on your mind, this might set you straight as to what you might expect when you get here. With an average daily high temperature around 90ºF and an overnight low no lower than 70ºF during summer, it can feel real hot up here in Duval County! The best way to cope with the heat is to stay out of it when you're indoors. And the best way to do that is by having a good AC system to keep it at a temperature that is comfortable for you. The great thing about the latest HVAC installations is they have a dual purpose to provide cool air in summer and heat in winter. Don't be fooled if you're not from around here into thinking it stays hot all year round. The daily average temperature can be as low as 60ºF in January and night time temperatures can drop as low as 42ºF. If you're considering buying a place up here, you'll need to make sure it has a modern heating and cooling system that has been regularly maintained and is certified in good working order. If you already live here and you're thinking about renewing an aging system in your home, call us and we can certainly help you with everything. We can assist you with all stages, from planning and costing to fit with your budget to purchasing and installing the system right up to maintaining it after to insure long and trouble-free service in the future. Are you are a Jacksonville FL air conditioning, heating, HVAC installer, repairer or expert?